Professors Jennifer Doudna (MCB) and Montgomery Slatkin (IB), were chosen for their distinguished research excellence by the Academic Senate, and will present public lectures as part of the Martin Meyerson Faculty Research Lectures. Since 1912, these events have offered an opportunity to hear from the people who are transforming knowledge at Berkeley and in our world. 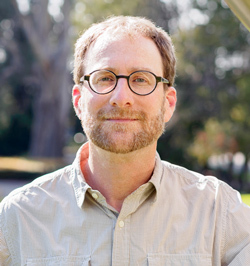 Associate Professor of Neurobiology and member of the Helen Wills Neuroscience Institute Dan Feldman has received a UC Berkeley Distinguished Teaching Award. Feldman will be honored at a ceremony on April 21st, at 5pm, in the Zellerbach Playhouse. This ceremony is open to the public. Assistant Professor of Biochemistry, Biophysics and Structural Biology and Bakar Fellow Andreas Martin is launching a search for small-molecule drugs to block the ability of cancer cells to rid themselves of proteins. Doing so would overwhelm the cells with excess baggage and kill them. A successful drug would also expose cancer cells to tumor-suppressor proteins, which prevent rampant division. Watch the video: Jennifer Doudna and Lance Knobel have a discussion at the UnCharted 2014 Festival of Ideas. Professor of Biochemistry, Biophysics and Structural Biology Jamie H. D. Cate has found a way to increase the production of fuels and other chemicals from biomass fermented by yeast. Working through the Energy Biosciences Institute, Cate and a team of collaborators identified metabolic pathways in the fungus Neurospora crassa that are used to digest xylose, one of the most abundant sugars in hemicellulose. Dr. Corey Goodman, former MCB Professor of Neurobiology, will be returning to UC Berkeley as an Adjunct Professor of the Helen Wills Neuroscience Institute (HWNI). He will also be the speaker for the 2015 MCB Graduate Commencement ceremony on Friday, May 22. The Cell & Developmental Biology Division will be holding their annual spring symposium on "Autophagy in cellular homeostasis, development, and disease" on Saturday, March 21, 2015. 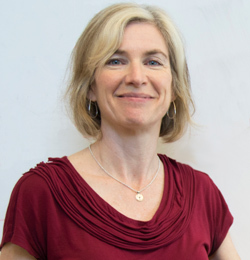 Doudna's research group unlocks the key to how bacteria "steal" genetic information from viruses and other foreign invaders for use in their own immunological memory system. The paper in Nature is titled “Integrase-mediated spacer acquisition during CRISPR–Cas adaptive immunity.” The lead author is James Nuñez, a member of Doudna’s UC Berkeley research group. 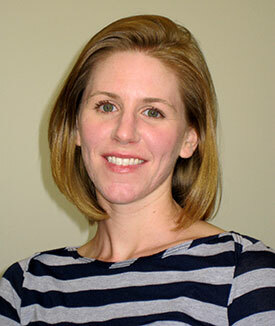 Assistant Professor of Neurobiology Helen Bateup and Assistant Professor of Cell and Developmental Biology Polina Lishko were among the nine young UC Berkeley faculty members awarded the 2015 Sloan Research Fellowships -- coveted grants for scientists and scholars at the beginning of their academic careers. Professor of Neurobiology David Schaffer, along with Irina Conboy, has received a QB3 Bridging the Gap Award from the Rogers Family Foundation. The campus celebrated the launch of the Innovative Genomics Initiative (IGI), a partnership between UC Berkeley and UC San Francisco researchers and the biopharmaceutical industry to perfect new gene-editing techniques and apply them to drug development and global health in general. Professor of Cell and Developmental Biology David Weisblat has received the UC Berkeley Leon A. Henkin Citation for Distinguished Service, along with Professor Denise Herd of the School of Public Health. Howard Hughes Investigator and Professor of Biochemistry, Biophysics and Structural Biology Eva Nogales has received the 2015 Dorothy Crowfoot Hodgkin Award from The Protein Society. The award is granted in recognition of exceptional contributions in protein science which profoundly influence our understanding of biology. 2013 Nobel Prize winner, Howard Hughes Investigator and Professor of Cell and Developmental Biology Randy Schekman was selected to give the inaugural Capstone Seminar for the new BBS, CDB and GGD divisional seminar series. The video of his seminar is now available to view online.